The payments industry in the United States is poised for a major shift late this year. In October, liability for fraudulent transactions will move from card companies to retailers if these retailers have not invested in point-of-sale terminals that accept chip-based payments. The shift is meant to address issues concerning the safety of electronic transactions, which has been brought to light by the growing prominence of mobile commerce. 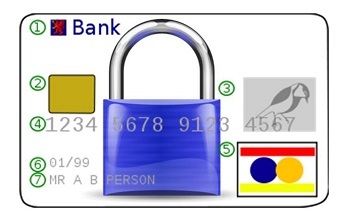 New security standards will require credit and debit cards to be equipped with a chip that will make transactions more secure. This shift happened more than a decade ago in several European countries and similar security standards are becoming more common throughout the world. In the United States, however, it has taken much longer for these standards to take hold, due to the complexities of the country’s financial structure and the retail industry. Retailers have been particularly resistant to having to fund new payment terminals in order to avoid liability issues. For those interested in mobile commerce, the new security standards could be seen as a boon. Security has long been an issue that the mobile world has had to manage, and the issue has become more important to address with the growing number of people using their smartphones to make purchases. The new point-of-sale terminals that retailers will have to adopt will support NFC-based transactions, which will make it easier for consumers with mobile devices to use their smartphones to pay for products in physical stores. October 1 is the deadline for retailers to incorporate chip-based payment terminals. There is some speculation that the implementation of security standards will be delayed, but this may cause a loss of faith in the standards themselves. Card companies are eager to have these standards instituted as soon as possible in order to bolster the security of the digital payments industry.